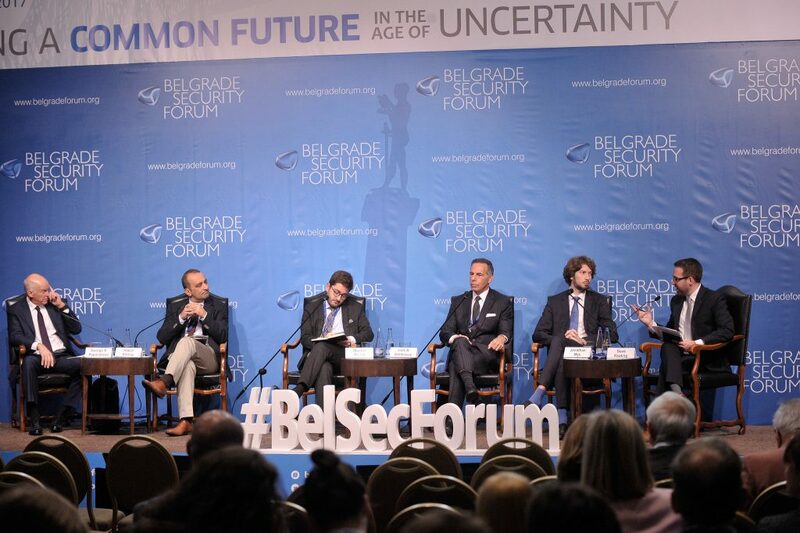 BELGRADE – The Berlin Process, NATO – Serbia Partnership Contributing to Western Balkans Security and What if the Western Balkans never becomes part of the EU, were some of the today’s topics at the Belgrade Security Forum. The second day was opened with welcoming speech by Sonja Licht, President of the Belgrade Fund for Political Excellence, who explained that migration presents a great challenge and that society needs to make common future for all. The first panel of the day began with the topic „Berlin Process in Belgrade“, an event organised in partnership with the European Fund For Balkans. The whole intention behind the Berlin Process was to speed up the integration process of the Western Balkans eleven years after the Thessaloniki Summit, where the European perspective was offered to the region for the first time. „The idea was first to economically connect the countries of the region, hoping that after that achievement all other issues will slowly settle down,“ it was emphasised by Tim Judah from the Economist. The event gathered two Foreign Affairs Ministers, from Serbia and Bosnia and Herzegovina, Ivica Dačić and Igor Crnadak, respectively. Dačić claimed that Berlin Process is a useful initiative, which activates important countries to consider, at least once a year, about the Balkan region and perspectives of EU enlargement. „Positive results were mainly achieved in economic relations, for which there is a number of examples,“ Dačić stated. However, he noted that the EU is turning a blind eye to certain undemocratic developments in the EU member states, and has somewhat double standards for dealing with the other states. Crnadak reminded that after more than 20 years since the war, everyone was expecting political stability. He also spoke of “stabilocracy” as a damaging policy. For the representative of German Ministry of Foreign Affairs, Christian Hellbach, the Berlin Process represents an opportunity for the countries of the region to take a leap forward. Christian Danielsson, General Director of EU Neighbouring Policy and Enlargement Negotiations, took a different stance, by speaking about the economic aspect of the Process. He claimed there was a large potential of the region for development and progress. In his opinion, the whole region could be made more attractive, which would enable its progress and competitiveness. “Berlin Process should also foster the connections between countries, foster the rule of law, common fight against organized crime, and generally address important issues,” he concluded. 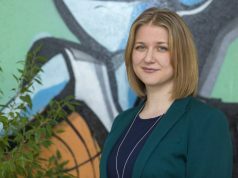 Hedvig Morvai, Executive Director of European Find for Balkans, claimed that after four meetings, structural changes were needed so the Process could really bring advantages to people and revive their trust. “We need to energize the spirit of political leaders, so we can energize citizens’ spirits. We don’t have the luxury of making excuses by claiming there is a decline of support. We need to change, communicate and proceed with the dialogue”, Morvai said. Later on, the Special Event was organised in partnership with NATO, „NATO-Serbia Partnership contributing to Western Balkans Security“. Ana Brnabić, Prime Minister of Serbia stated that Serbia is an exporter of regional stability but also a very active participant in the peacekeeping missions. „Serbia is a number one country in the region and seventh in Europe in terms of UN and EU peacekeeping missions,“ stated Brnabić. She emphasised that Serbia has an excellent cooperation with NATO. 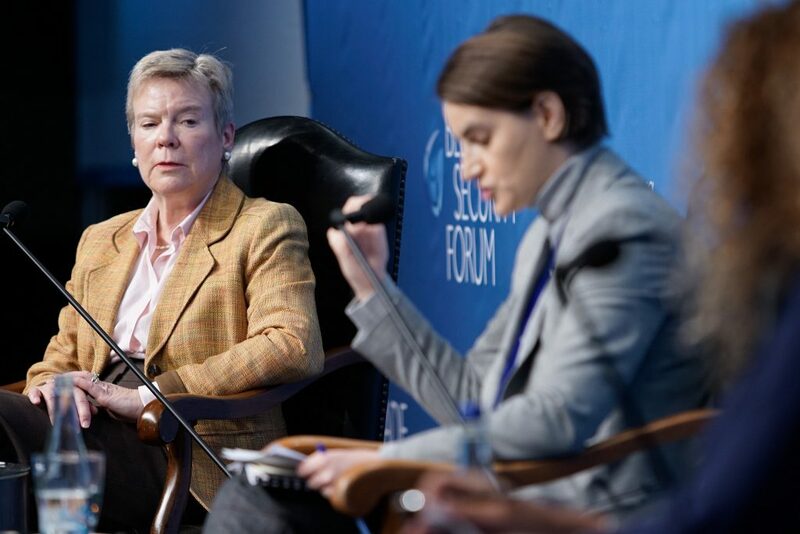 Rose Gottemoeller, Deputy Secretary General of NATO, agreed with her, adding that there are many aspects of NATO’s cooperation with Serbia that helped to build regional stability. On a second panel „Challenging Inequality: Ways Forward“, speakers concluded that we need to strengthen nation states to be more efficient, transparent and with more rule of law. However, there is no consensus on what should be done in order to decrease growing inequality. „Inequalities we see, create a different type of crisis. We do need a new framework across nations,“ stated Jack Goldstone, Professor of Public Policy at George Mason University. Former Prime Minister of Greece, George Papandreou, agreed with him, adding that we need to strengthen nation states to be more efficient, transparent and with more rule of law. „With the rise of violent extremism inspired by radical interpretations of Islam, there is also the tendency and risk to lay the blame on organized religion. This would precisely play at the hand of those instigating violence,“ it was concluded on the third session „Patterns of Perception and (Mis)Understanding: Religion and Security“. The participant stated that religious differences are therefore often used as a handy scapegoat in order to explain the often more complex factors leading to a conflict. „Women could have more specific role in overcoming difficulties in the region, but there is a need to work on their empowerment and their voice and position,“ it was the message of the panel „Women of the Balkans for New Politics“ which was organised in partnership with the Organisation for Security and Cooperation in Europe (OSCE), Mission to Serbia. On the following panel „What if the Western Balkans never becomes part of the EU“, participants discussed numerous internal and external crises (or “poly-crises” as described by some) in the EU, which could influence the enlargement process. Growing Euroscepticism, democratic backsliding, authoritarian tendencies, and the rise of populism (or plain nationalism) in the Balkans could all be, in a large part, ascribed to the EU’s unclear plan for this region. “There are multiple scenarios by which Serbia will never join the EU. On the other hand, there is a possibility that the EU stops existing,” stated Miloš Đinđić from the European Policy Centre from Belgrade. On a plenary session „Democracy in Retreat: More Populism as the New Norm?“ which was organised in partnership with the Open Society Foundations, participants discussed on the rise of right-wing political parties across Europe, but also the left-wing movements such as Syriza and Podemos, which sparked the waste interest for the topic of populism, which reached its peak with Trump’s victory in November last year. „Some of their Balkan counterparts do not lag behind in autocratic tendencies, while, unfortunately, the EU often seems to turn a blind eye to such developments,“ it was concluded at the session. Following session „Changing Paradigm? Contemporary Interventionism and Proxy Wars“ discussed post Cold War-interventionism, and the proxy conflicts which are taking place in Syria and Yemen. 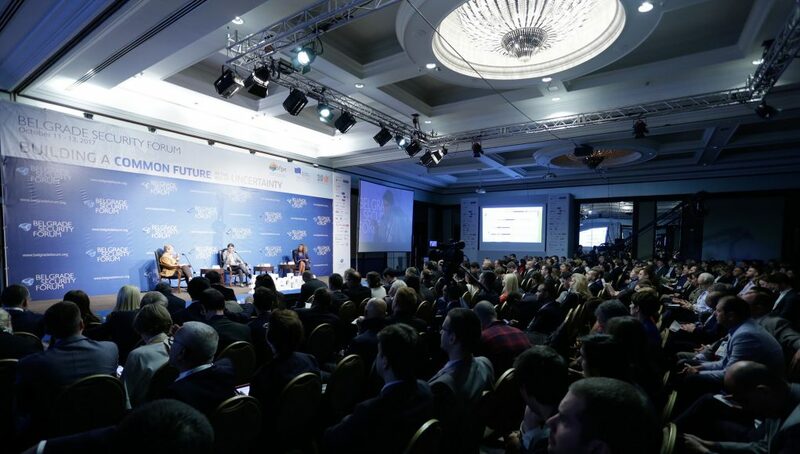 One of the parallel session named „Soft Power Revisited: Alternative Facts for a Post-Truth Reality“ discussed on the post-factual or post-truth era and fight against the usage of so-called alternative facts. „We live in a world where it is hard to say that people make decisions based on their rationality, nowadays politics is not only about arguments but about selling and buying,“ said Dejan Jović, Professor of International Relations at Faculty of Political Science at the University of Zagreb. „In our times, developments in media, political culture, and economics have led to widespread questioning of the legitimacy of traditional political elites,“ concluded Cameron Munter, President and CEO of the EastWest Institute (EWI) in New York. Side Event „The Western Balkans in a Brexiting EU“ was organised by International Centre for European Studies (CIFE), The Austro-French Centre for Rapprochement in Europe (CFA) and Institute for International Affairs (IAI). Ardian Hackaj, Director of Shteti Web, Cooperation and Development Institute (CDI), discussed the financial ramifications of Brexit, pointing to rival investors in the Balkans such as China, Azerbaijan and Russia, who might be willing to take on connectivity and infrastructure projects in the event of a depressed European initiative. Eleonora Poli, Researcher, Istituto Affari Internazionali (IAI), Rome, responded by emphasizing Italy’s investment in increasing connectivity with the Western Balkans, addressing issues of migration and prompting economic development. She raised serious doubts about the message sent by hosting the next Berlin Process conference in London, declaring that an enlargement agenda could not be properly addressed in a country currently negotiating its exit from the EU. Milan Nič, Senior Fellow at the German Council on Foreign Relations (DGAP), expressed a certain optimism about the Berlin Process, giving credit to the European leaders willing to expend political capital on moving enlargement forward and promoting inter-Balkan solidarity. “Despite Brexit, Britain would likely still play an essential role in European security and foreign policy, and issue directly linked to the Western Balkans,” said Nič. Adam Fagan, Professor of European Politics at Queen Mary University of London declared that although he laments Brexit itself, he sees good reason to continue with the Berlin Process conference in London, hoping it will send a message about the UK’s continued investment in Europe. Florent Marciacq, Research Fellow and Programme Director, Centre Franco-Autrichien pour le Rapprochement en Europe (CFA), Vienna, asserted that in the beginning he was skeptical of the Berlin Process because it introduced more inter-governmentalism to EU policy, making it more easily fragmented, but also declared his optimism after witnessing the achievements of the past three years.